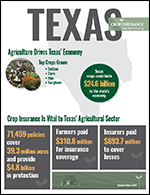 In 2018, farmers invested more than $3.6 billion to purchase more than 1.1 million crop insurance policies, protecting over 130 different crops. 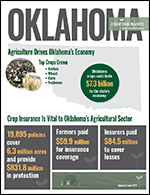 Crop insurance policies protected more than 90 percent of planted cropland in 2018. 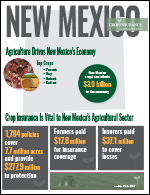 Since 2000, farmers have spent $54 billion out of their own pockets to purchase crop insurance. Family farms make up 96 percent of America’s 2.1 million farms and 89 percent of ag production. MPCI policies must be purchased prior to planting and cover loss of crop yields from all types of natural causes including drought, excessive moisture, freeze and disease. Newer coverage options combine yield protection and price protection to guard farmers against potential loss in revenue, whether due to low yields or changes in market price. 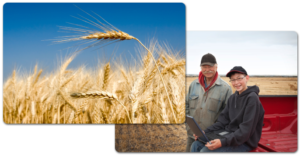 Under the Federal Crop Insurance Program’s unique public-private partnership, there are currently 15 private companies authorized by the United States Department of Agriculture Risk Management Agency (USDA RMA) to write MPCI policies. The service delivery side of the program — writing and reinsuring the policies, marketing, adjusting and processing claims, training and record-keeping, etc. — is handled by each private company. The program is overseen and regulated by the Risk Management Agency (RMA). The RMA sets the rates that can be charged and determines which crops can be insured in different parts of the country. The private companies are obligated to sell insurance to every eligible farmer who requests it and retains a large portion of the risk on over 80 percent of the policies written. The federal government also subsidizes the farmer-paid premiums to reduce the cost to farmers. In addition, it provides reimbursement to the private insurance companies to offset operating and administrative costs that would otherwise be paid by farmers as part of their premium. 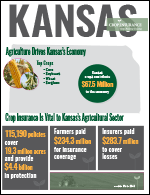 Through this federal support, crop insurance remains affordable to a majority of America’s farmers and ranchers. By combining the regulatory authority and financial support of the federal government with the efficiencies of the private sector, the crop insurance program has succeeded in meeting and even surpassing the goals set forth by Congress for broad participation, diversity and inclusion. By using the private sector, risk is shared among the private companies as well as the government.